As part of our comprehensive range of custom plastic products, we can make use of a variety of different materials for suitable use in a variety of applications. Regency Plastics offers a comprehensive range of custom acrylic fabrication services, allowing designers and manufacturers to get the finished products or components they need at great value for money prices. We can not only cut or bend the components, we can put them together for you using chemical bonding or mechanical fixing. With our extensive custom plastic fabrication solutions, Melbourne business owners and companies can improve the quality of their products and services. 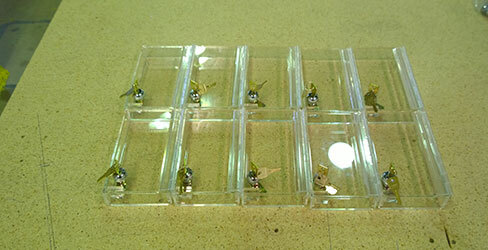 As professional acrylic fabricators, we can put together a wide range of products including all kinds of display boxes, stands, cases and anything else you can think of. We’ve worked on everything from cutting boards to product displays to leaflet holders – no matter what you need created, Regency Plastics can take care of it for you! Tailored to suit your needs and dimensions, our plastics professionals can deliver custom plastics to Melbourne-based customers and businesses. When you choose us for acrylic fabrication in Melbourne, you can rest assured that your product will be finished to perfection, with polishing options including flame and buffing. Need some design help? Want to know more about what our facilities and staff are capable of producing? Feel free to give us a call on (03) 9761 4452 or send us a message through our contact form to discuss your upcoming project. 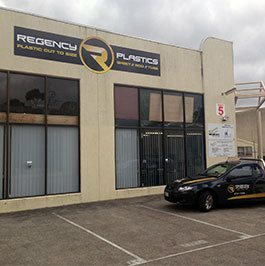 Thanks to our years of experience in custom plastic fabrication customers Melbourne-wide can rely on Regency Plastics for lasting and detailed plastics manufacturing solutions.